Keely Muscatell is an assistant professor in the Department of Psychology & Neuroscience and the Lineberger Comprehensive Cancer Center at UNC Chapel Hill. Trained as a social neuroscientist, her research focuses on elucidating the neurobiological mechanisms that link social experiences and health. Her work is highly interdisciplinary, as she employs theory and methods from social psychology, cognitive and affective neuroscience, psychoneuroimmunology, pharmacology, and population health. Keely completed post-doctoral training in the Robert Wood Johnson Foundation Health and Society Scholars program at UCSF/UC Berkeley, and in the Psychology Department at Berkeley. She received her Ph.D. in Psychology from UCLA in June 2013, an MA in Psychology from UCLA in 2009, and a BA in Psychology and Spanish from the University of Oregon in 2006. When not in the lab, Keely can be found reading Dave Eggers, Ben Lerner, and Zadie Smith, watching college football, and/or drinking craft beer while listening to their vinyl collection with her partner, Dave Rose. Monica is a postdoctoral fellow in the lab. She completed a BS in Biology at the University of Puerto Rico in 2008 and a PhD in Neuroscience at The Ohio State University. Interested in how environmental factors influence health, Monica decided to join to the Social Neuroscience & Health Laboratory where she is expanding her training in this area. In her free time, she enjoys spending time with her family and friends, listening to music, going to the beach, visiting the zoo, and trying new restaurants/ bars. Jenn is a sixth-year doctoral student in Social Psychology at UNC. She researches how bodily changes (e.g., interoceptive awareness, hunger, inflammation, physiological aging) can shift our emotions, social perceptions, and affect-based decisions. To test these connections, she draws on social cognition, peripheral psychophysiology, psychoneuroimmunology, and social affective neuroscience. Jenn's research is supported by an NRSA Predoctoral Fellowship from the National Institute on Aging, as part of her dissertation. She hopes to become a tenure-track professor at a research university and build a lab that uses social affective, developmental, and interoceptive science to explore the mind-body link. In 2013, she received her B.A. in Psychology from NC State University. Before that, she studied Welsh language and literature at Bangor University in North Wales, UK for four years. In her free time, Jenn enjoys writing fiction, hiking through the Carolina Piedmont, and playing video games. Becky is a fourth-year doctoral candidate in the School of Nursing at UNC. Her research focuses on a specific subset of depressive symptoms (depressed mood, chronic pain, cognitive dysfunction, sleep disturbance, and fatigue) which is called the psychoneurological symptom cluster in Nursing science. For her dissertation, which is supported by an NRSA Predoctoral Fellowship from the National Institute on Nursing Research, Becky is looking at whether the symptoms are associated with the chronic situational stress experienced by low-income mothers as well as whether the symptoms are associated with maternal function and their child’s behavior. She hopes to follow up this research with an exploration of chronic stress, inflammation, and the development of symptoms. Her long-term research goal is to develop an accessible stress intervention for the dually vulnerable population of mothers and children. Becky received a B.A. in Psychology and English at Wellesley College in 2008. After spending time working with children in a variety of settings, including on a biodynamic dairy farm in upstate New York and at an overnight camp in Western North Carolina, she attended Vanderbilt University and received her MSN in Psychiatric Mental Health Nursing across the lifespan. When she’s not wearing her academia hat, she loves to garden, cook, and spend time with her wife and their daughter. Gaby is a second-year dual clinical and social doctoral student in the Department of Psychology & Neuroscience at UNC. Supported by an NSF GRFP as well as a Pre-doctoral Ford Foundation Fellowship, she is gaining skills in psychoneuroimmunology and affective neuroscience to study how social contexts affect psychobiological responses to stress. Ultimately, her work aims to improve our understanding of how the social world sculpts biology, and will reveal the mechanisms underlying socioeconomic and racial health disparities. Gaby aspires to become a tenure-track faculty at a research university where her study of the social determinants of health not only contributes to advances in biology but also influences health policy and equity. In 2015, she received her A.B. in Psychology and Anthropology at Washington University in St. Louis. Following graduation, she completed a post-baccalaureate intramural research training position at the National Institute of Mental Health. In her spare time, Gaby enjoys eating, listening to podcasts, and bonding with her kitten Lillith. Tatum is a second-year doctoral student in Social Psychology at UNC. She researches the role of socioeconomic status in close relationship functioning and well-being. Tatum hopes to integrate the often-overlooked context of SES into relationships science to better understand the basic mechanisms at the root of high-quality relationships. Specifically, she researches how SES impacts the provision of high-quality social support within close relationships, during both everyday life and times of stress. As a part of the SNH lab, she aims to ultimately examine how close relationships and SES work together to influence health. Tatum hopes to become a tenure-track faculty at a research university studying the dynamics of close relationships, socioeconomic context and health. In 2015, she received a BA in Psychology, History and Plan II Honors from the University of Texas at Austin. She then took a post-bac at Yale University working with Dr. Margaret Clark in her Relationship Science Lab before starting graduate school at UNC. If she’s not doing research, Tatum can be found running or hiking outside, beer tasting or cooking new recipes with her partner. 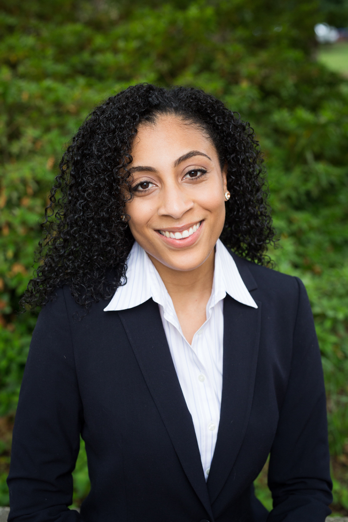 Carrington is a first-year doctoral student dually enrolled in Clinical and Social Psychology at UNC. Prior to being a graduate student, she worked as an undergraduate research assistant in the Carolina SNH lab while obtaining a BA in Psychology at UNC. Carrington's primary research interests are in how social conditions influence neural, physiological, and psychological functioning, and thus contribute to the onset, course, and treatment of severe mental illness, specifically schizophrenia. In her graduate studies, she plans to investigate social determinants of schizophrenia pathology, their associations with neurobiological mechanisms underlying schizophrenia risk, and how these associations may vary across socially advantaged and disadvantaged groups. To explore these interests, she hopes to use a mixed-method approach incorporating psychophysiology, neuroimaging, and behavioral experiments. It is her desire to use this research to help inform the development of more socially- and culturally-conscious interventions for those suffering from psychosis-related illnesses. In her spare time, Carrington enjoys running, reading historical fiction novels, and watching stand-up comedy specials on Netflix. Samantha is the SNH laboratory manager. Before her post-bac position, she graduated with a B.S. in Psychology from UNC Chapel Hill. She hopes to pursue a PhD in Social Psychology, with a specific focus on physical health and social well-being. As a future graduate student, she would like to explore the physiological and neural mechanisms that set individuals on unique life-history trajectories. More specifically, she would like to disentangle how people’s early life experiences and current social world (i.e. social status, socio-cultural environment, social interactions) impact their brain and stress response, and in turn, how these biological pathways influence the way in which individuals interact with the world around them. In her spare time, Samantha enjoys playing her guitar, writing songs, and playing with her two guinea pigs. Anna is a senior majoring in Psychology and minoring in Medical Anthropology. She is interested in learning how social and environmental factors influence underlying neurobiological processes, specifically, how social interaction and environment affect inflammation in the body. Anna hopes to attend graduate school to study clinical psychology. In her free time, Anna enjoys doing and teaching yoga, running, and listening to music. Jenah is a senior transfer student majoring in Psychology and minoring in Neuroscience. Here at UNC, Jenah is a Transfer Student Ambassador who aims to ease the transition into Carolina among incoming transfer students. Jenah is interested in the way events particularly stressful events alter our neural circuit activity and how this activity is altered between different population groups. She hopes to graduate in the summer and secure a job hopefully in research before going off to graduate school. In her free time, she enjoys going to sporting events, trying new restaurants with her close friends and shopping online. Xueyang is a junior majoring in biostatistics and public policy and minoring in math. She is interested in learning more about how environmental factors and demographics works together to influence health and health disparities from a neuroscientific perspective. She hopes to attend graduate school to study epidemiology and population health. She loves painting, cooking (or rather, reading about cooking), and going to the beach with her dog. Luyang is a sophomore student majoring in Psychology and Economics. She is interested in studying the effects of socioeconomic factors on mental health, especially the stress of people in the workplace. In her spare time, she likes watching movies, traveling and reading books related to Philosophy. Krista is a junior majoring in Biology, with a minor in Neuroscience. For research, she is interested in how stress is connected to inflammation in the body, which relates directly to autoimmune disorders. In her free time, Krista likes to spend time at the beach, hiking, kayaking, walking her dogs, or listening to her favorite music. Alex is a senior majoring in biology and history, and a current medical school applicant. This is his third year being involved with Carolina Social Neuroscience and Health Lab, where he has been able to explore his interest in the connection between mind and body. In particular, he hopes to incorporate the field’s findings on the physiological consequences of this connection, and how it leads to differential health outcomes between populations, into future medical practice. In his free time, Alex enjoys playing sports, watching Quentin Tarantino films, and enjoying nature. El is a junior majoring in Psychology and double minoring in Neuroscience and Hispanic Studies. She is interested in the neurological basis of social interactions, how these changes manifest physiologically, and how this contributes to the health of the overall population. She plans to continue research in graduate school. Outside of the lab, El is a group fitness instructor and a trainer for the UNC Boxing Club; she enjoys listening to music and a good cup of coffee. Varun is a senior majoring in Psychology with minors in chemistry and neuroscience. He is interested in the relationship between mindfulness and motivation, particularly within the field of sports, and also the benefits of psychedelic-assisted psychotherapy. He plans to become a physician who is also actively involved in research. Varun is a self-proclaimed “basketball junkie” who also entertains himself through yoga. Steven is a senior Psychology major and Sexuality Studies minor. He hopes to attend graduate school for a PhD in Clinical Psychology after graduation and continue researching. His research interests include differences in physiological and emotional responses to different major life stressors, among others. In Steven’s free time he volunteers with hospice patients, and enjoys cooking and reading. Victor is a Junior majoring in Psychology and has a Neuroscience and Chemistry double minor. He is interested in seeing how social determinants like socioeconomic status may have a biophysical effect. In his free time he goes to the gym, goes to new restaurants and listens to music. Suhas is a sophomore majoring in Neuroscience and Biology with a minor in Computer Science. He is interested in the physical manifestations of stress and the underlying biological processes that work together to create these responses. In his spare time he enjoys reading, running, and playing card games. Maddy is a senior majoring in Psychology and Hispanic Linguistics with a minor in Neuroscience. She is interested in studying biopsychosocial connections and mental/physical health integration, and hopes to become a clinical social worker. In her free time she likes spending time with her friends, her dogs, and listening to music. Emma was the SNH lab's very first lab manager. She graduated in 2016 from the University of North Carolina at Chapel Hill. Her research interests focus on child and adolescent development, and the social and cognitive conditions that underlie human experiences. Emma is currently enrolled as a doctoral student at Stanford University. Carrie was an SNH lab programmer. She graduated from UNC in Spring 2017, majoring in environmental science and geography. 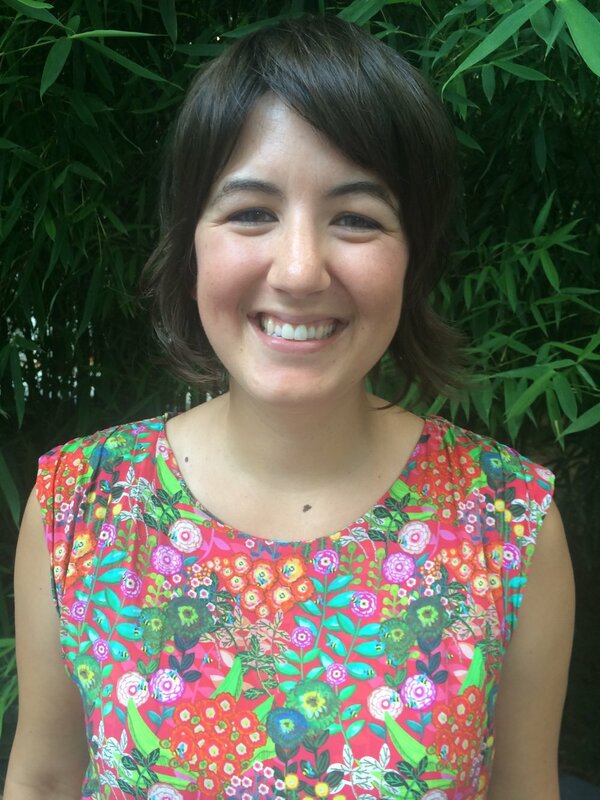 Carrie is interested in the intersection of social psychology and geography, and is especially interested in emotional, spatial, and temporal dynamics of bereavement and intimate relationships. Gary Wilkins was our fMRI data analysis assistant, who constructed a pipeline for human neuroimaging data. He earned a B.S. in Mathematics with a concentration in Physics and a minor in German Studies at the University of North Carolina, Chapel Hill. He then worked as a research technician for Dr. Eva Anton at the Neuroscience Center for UNC School of Medicine. Emmie was a research assistant and honors student. She graduated from UNC Chapel Hill in 2018, with a degree in Psychology. Emmie will be joining the Alzheimer’s Disease Research Unit in the Yale School of Medicine for a three year post-bac fellowship. Here, she will assist in the research coordination of clinical trials and neuroimaging studies, as well as undertake independent research projects. After this she hopes to attend graduate school. Saif was a research assistant and honors student. He graduated from UNC Chapel Hill in 2018, with a degree in Business Psychology. Saif is interested in studying how cognitive dissonance theory can help explain the neural correlates of conflict resolution and dissonance reduction in moral decision making and interracial interactions. Ellie was an undergraduate honors student. She graduated from UNC Chapel Hill in 2018, with a degree in Psychology. Ellie is interested in looking at self-disclosure as a means of cognitive reward and specifically its role in the formation of relationships. She hopes to attend medical school in the future. Graham was a research assistant. He is a third year student hoping to major in public health with minors in neuroscience and chemistry, and plans to attend medical school. For research, he is interested in the physiological responses to stress as well as neuromuscular disorders. Arnav was a research assistant. He graduated from UNC Chapel Hill in 2018, with a degree in Business Administration. He is interested in the various socioeconomic factors that trigger stress and the responses, or biomarkers, associated with these triggers. Hasan was a research assistant and honors student. He graduated from UNC Chapel Hill in 2017, with a degree in Psychology. Hasan is currently a research assistant at Rush University Medical Center in Chicago, working on studies that focus on trauma and resilience in the general population, as well as with veterans. In the future, he plans to attend graduate school to study anxiety and neuroscience.